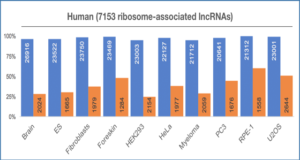 Long noncoding RNAs (lncRNAs) are a recently discovered class of non-protein coding RNAs, which have now increasingly been shown to be involved in a wide variety of biological processes as regulatory molecules. 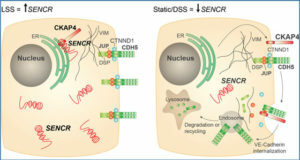 The functional role of many of the members of this class has been an enigma, except a few of them like Malat and HOTAIR. 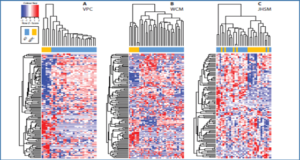 Little is known regarding the regulatory interactions between noncoding RNA classes. 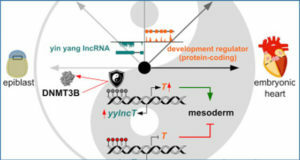 Recent reports have suggested that lncRNAs could potentially interact with other classes of non-coding RNAs including microRNAs (miRNAs) and modulate their regulatory role through interactions. 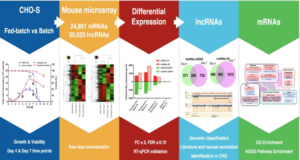 Researchers at CSIR-Institute of Genomics and Integrative Biology (CSIR-IGIB), Delhi, India hypothesized that lncRNAs could participate as a layer of regulatory interactions with miRNAs. 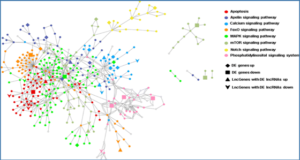 The availability of genome-scale datasets for Argonaute targets across human transcriptome has prompted them to reconstruct a genome-scale network of interactions between miRNAs and lncRNAs.